Two years ago, Marcus and I went on our first trip to forage mushrooms. We headed out on a sunny weekend to a place we chose at random and found enough chanterelles to fill two bags. It was epic, unforgettable. Last year, with little Elena in tow, we headed out again. But the weather had been fickle. Too sunny and warm followed by too much rain. We struck out then, and on another trip. This year was a similar situation. The ideal weather just didn’t coincide with the weekends and we found ourselves without a haul of mushrooms. If you’ve never foraged for mushrooms, this might sound like a lot of work for a product you can buy at most stores. And it can be. But it is also a lot of fun, especially when combined with a hike, a sunny day, and a bit of luck. It's like a treasure hunt, stumbling upon mushrooms one at a time and then heading home with food for a week or more. 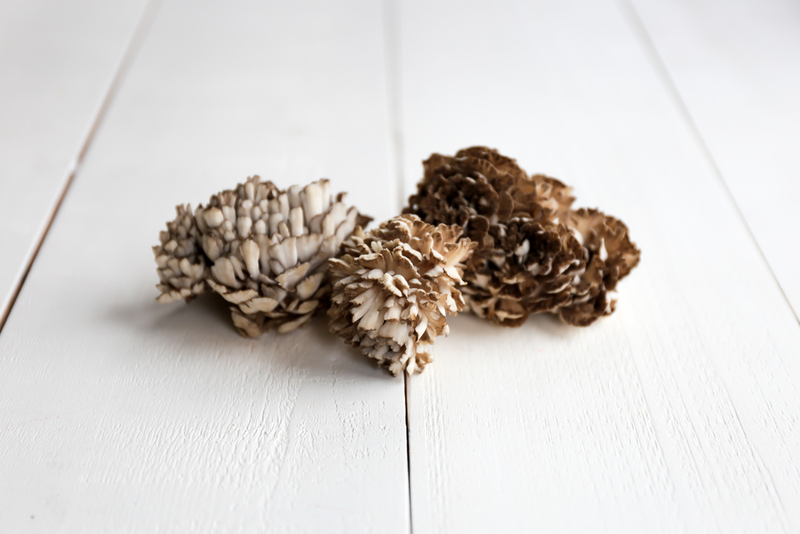 Wild mushrooms are well worth the effort and make a fantastic addition to many autumn dishes. If you plan to go foraging for mushrooms, I recommend the Field Guide to Mushrooms or Roger's Mushrooms app to help with identification. This simple recipe uses a variety of wild mushrooms that can be found in the forest, farmers market, or many grocery stores. Put 1 Tbsp butter in a pan over medium high heat, once melted add onions and cook until they caramelize, about 10 minutes. When they start to turn brown, add the mushrooms, thyme, and another Tbsp butter. Turn heat to medium. The mushrooms will release moisture, becoming soft. Add garlic and cook an additional 3 minutes. Meanwhile, cook the pasta according to instructions, reserving 1/2 cup pasta water. Add the pasta to the mushroom and onions, along with the remaining butter. Mix over high heat until it begins to get creamy. Add salt and pepper to taste.